Rabbit Hash, Ky — On a cool, clear morning, I straddled the Harley and took off from Madison, Indiana to visit the legendary Rabbit Hash Kentucky. It’s a beautiful ride along the Ohio River Scenic Byway. Rabbit Hash is in Boone County Kentucky and is known, not only for it’s name, but for it’s string of canine mayors. With an official population of just over 300, Rabbit Hash, Ky was originally known as Carlton but had to change it’s name because their mail was being mixed up with Carrollton Ky, another community along the river. The name was from the historic use of the local rabbit population as food and the tradition of serving rabbit hash for Christmas dinner. The nickname eventually became the name of the town. 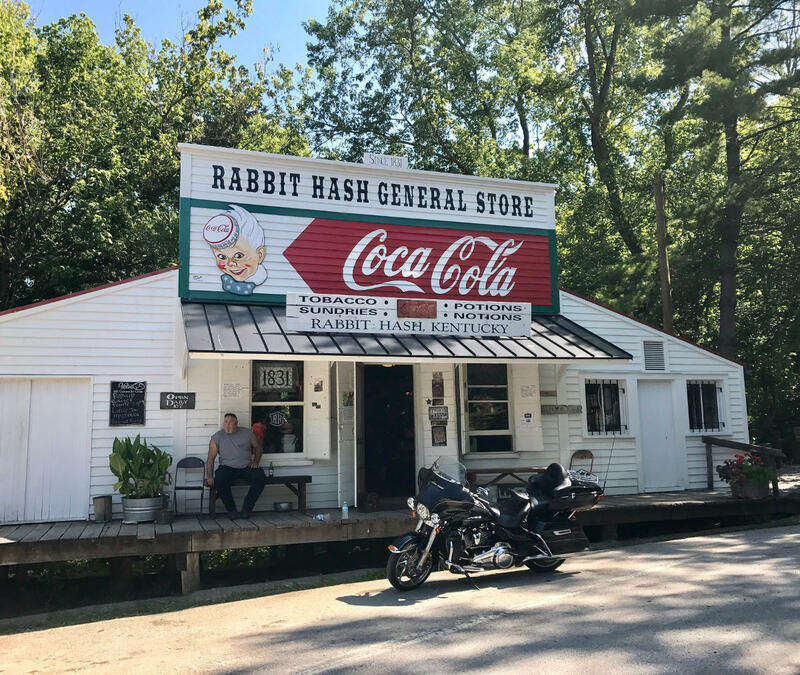 The Rabbit Hash General Store is known as the best preserved country store in Kentucky and was added to the National Register of Historic Places. The store was destroyed by fire on February 13, 2016, but was restored to it’s original state. The store is filled with a variety of souvenirs, t-shirts, and more. Rabbit Hash is also known for it’s string of canine mayors. The first was Goofy Borneman-Calhoun, inaugurated in 1998 for a four year term. He died in office in 2001 at the ripe old age of 16. The position remained unfilled until 2004, when “Junior Cochran”, a black Labrador, assumed office. Junior was not allowed in the General Store. Others holding office included “Lucy Lou,” a Border Collie. Mayor Lucy Lou was even featured on CBS Sunday Morning. The current mayor is a pit bull named “Brynneth Pawltro.” Now I know why everybody told me to ask who the mayor was when I got there. The roads were good, some were “choppy” in places, but over-all, it was a good ride. And at the end of the day, what can you say about a town whose mayor has to be house broken? 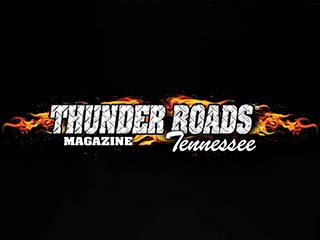 Hey, Hank Happy trails to you ….that was fun to ride along with you in Mountain View….when I get to Nashville …we will ride again ! Never seen Nashville except on that ” Nashville ” episode .. I want to ride with ” the Hankster” again ! Hey Virgil!!! Thanks for the message. It was awesome to ride with you. I enjoyed meeting you. I hope we can do it again soon. I’m all over the country so we will meet again. If you’re in my neighborhood, please use this email to contact me, or you can find me on facebook.